More than 90 percent of the women had detectable levels of glyphosate present in their urine, and the study found that women with higher levels tended to have shorter pregnancies. The length of a pregnancy term may carry long-term implications on a baby’s health, the researchers suggest. “This study reinforces a growing body of evidence suggesting that pesticide exposure in pregnancy may be correlated with gestational length, as well as adverse fetal growth,” the paper says. Previous research has also linked glyphosate exposure to low birth weights. The women studied do not work in farming and no glyphosate was present in their water, suggesting that either inhalation of glyphosate or dietary exposure is the potential culprit, the researchers write. Their findings have implications for the entire country, as a study last year out of the University of California, San Diego found that human exposure to glyphosate has increased 500 percent in recent years. "Our exposure to these chemicals has increased significantly over the years but most people are unaware that they are consuming them through their diet,” University of California public health professor Paul J. Mills said last year. Concerns about eating foods contaminated with glyphosate has spurred the organic food industry to advertise that their products have “no-GMOs” or no genetically modified ingredients. A separate campaign running across the country seeks to require labeling on all foods that do contain genetically modified ingredients. Vermont was the first state in the nation to mandate such labeling under a law passed in 2014. But in 2016, shortly after Vermont’s labeling law went into effect, Sen. Mitch McConnell fast-tracked a bill in Congress that banned states from mandating labels on bioengineered food. Despite a warning from the Food and Drug Administration that preempting state labeling laws was a legally risky move, former President Barack Obama signed the legislation shortly after, essentially overturning Vermont’s labeling law. The food and agriculture industry, as well United States regulators, have long pushed back on the idea that glyphosate has any ill health effects. The World Health Organization's International Agency for Research on Cancer caused a major controversy in 2015 when it published research claiming that glyphosate is a “probable” carcinogen. 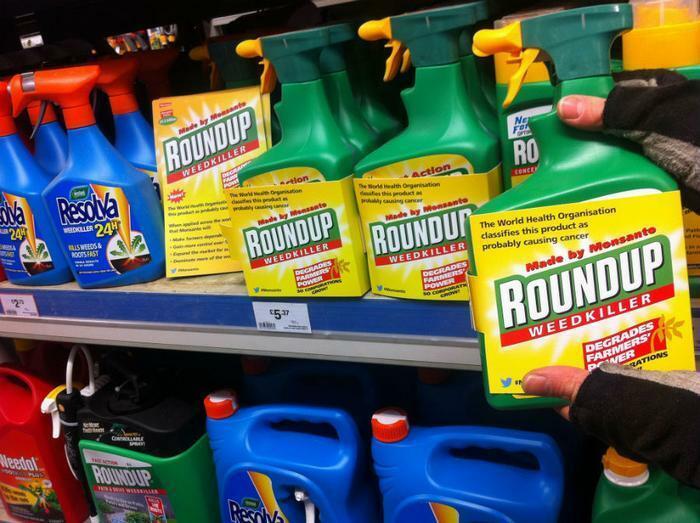 The state of California responded with plans to place cancer warning labels on Roundup under a state law requiring all carcinogenic products to be labeled as such. Monsanto sued, and last month a federal judge blocked California's plans after determining that the state had not sufficiently proved that the product causes cancer. A Monsanto spokesperson pointed out that other brands also use the chemical glyphosate in herbicide sprays but declined to comment on-the-record about the latest research.